How Far is MGP Sri Homes? MGP Sri Homes is designed for those who appreciate and enjoy fine homes. Designed as a 100% self-sufficient residential units, the Villas have been carefully designed to yield you with your private space, the Villas has every facility to make your daily life comfortable and convenient. MGP Sri Homes, is strategically located at Peerkankaranai and just 1 km away from Tambaram one of the chennai’s well developed residential area. Few minutes drive from Tambaram Railway Station/Bus Stand and few minutes walk from Perungalathur Railway Station/Bus Stand. 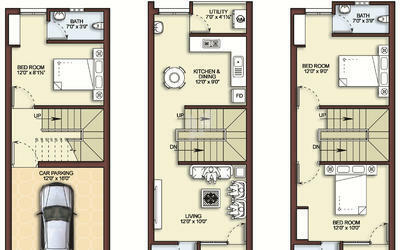 It is the perfect place to live the life of convenience you always have dreamed of. Adding to the convenience of commuting is the Srimathi Sundaravalli Memorial School(SSM) and St. John’s & Ebenezer Matriculation School. Madras Christian College, Crescent Engineering College, GKM Engineering College and SRM Deemed University are easily accessible from Peerkankaranai. Nationalized Banks and Private sector Banks have branches in Peerkankaranai. 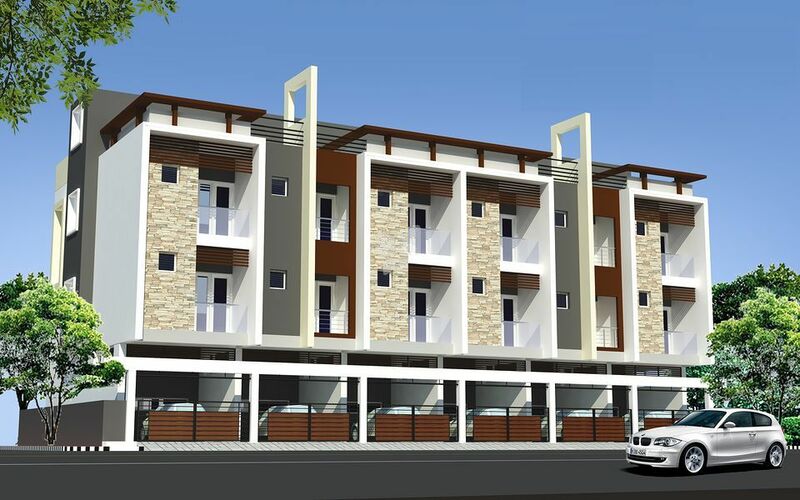 At close Proximity to Super Markets, Multi Cuisine Restaurants and Arignar Anna Zoological Park in Vandalur. Accessing any part of the city from MGP Sri Homes is very easy. Main door in teak wood frame with skin shutters and other doors in country wood frame with flush type shutters. All door fittings will be of Anodized Aluminum except the front main door, which will have brass fittings. Main door will be provided with secure lock of Godrej or equivalent quality and provided with at least two keys. Country wood with glazed shutters / UPVC windows with glazed shutters. Living, Bedrooms and kitchen will be provided with 2 x 2 vitrified tiles. Toilet – Ceramic tiles flooring and dadoing up to 7 feet height. Polished Black Granite slab will be provided for the kitchen cooking platform. A Single bowl stainless steel sink will be provided. Ceramic Tiles dadoing up to 2 feet height. All closets and wash basins will be white (Parry ware) or equivalent. Toilet closets will be EWC floor mounted or IWC as desired by the Contracting Party. Concealed copper wiring (ISI Trade Mark) and good quality switches and plug sockets. Three phase supply with phase changer will be provided. 15 Amps power plug sockets will be provided for water heaters in the toilets and 20 Amps for air conditioners in the bedroom. Sufficient 5 amp plug sockets will be provided in each room, except that in the living room, in addition a multiple socket with 3 outlets will be provided for connections to TV, stereo and VCR. Spot light provision in the living room. Home theater provision in the living room. Concealed PVC pipes for TV antenna will be provided in the living room. Walls with putty to take emulsion paint, Ceiling plastered suitable to take cement paint, Main Door – Varnish sealer finish, Outer Walls – Exterior Emulsion. Bore well for tapping ground water, sump to store water with arrangements for pumping water to overhead tank.